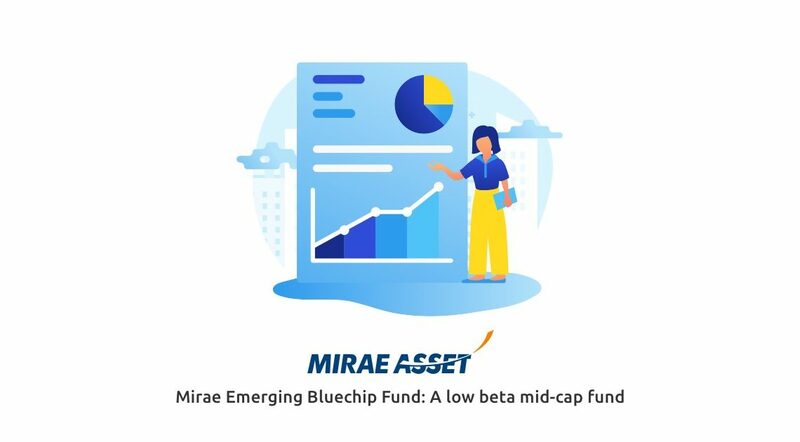 The Mirae Asset Emerging Bluechip Fund is an open-ended, equity mutual fund that seeks to provide its investors with long-term capital appreciation through actively managed investments in predominantly midcap company stock. The fund was launched on January 1st, 2013 by the Mirae Asset Fund House and has been a good performer within its category. This fund is suitable for investors who have a long investment horizon and a high tolerance for risk. As this is a midcap fund is prone to high volatility, and therefore, this fund would not be recommended to new investors, as the volatility can cause the investor to make impulsive decisions. As this fund is a midcap oriented fund its minimum asset allocation towards mid-cap stocks is 35% according to its mandate. The fund seeks to mitigate risks and provide a level of stability to the fund during volatile market cycles by making a nominal investment in debt and other money market instruments. 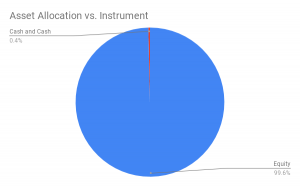 The asset allocation of this fund according to its mandate has been provided below. The Mirae Asset Emerging Bluechip Fund is a highly diversified equity mutual fund with a midcap bias. The fund presently invests across strong economic growth sectors like Basic Materials, Consumer Cyclical Goods, Financial Services, Healthcare, Industrials, and Technology. The fund takes large exposure to mid-cap and large-cap companies. The exposure to large-cap stocks is approximately 56% and the exposure to mid-cap stock is approximately 38% the remainder is invested in small-cap stocks to boost returns. 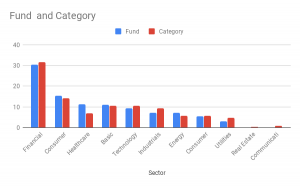 The sector allocation of the fund against the category average has been provided in the chart below. The Mirae Asset Emerging Bluechip Fund has been a top performer in its category and benchmark since its launch. The fund has consistently outperformed its benchmark and category since its launch in July 2010. The fund saw its best performance between September 2013 and September 2014 which can, in part, be attributed to the General Elections that was held between April and May 2014. The fund performs well during bullish market cycles and is good at mitigating losses during bearish cycles. 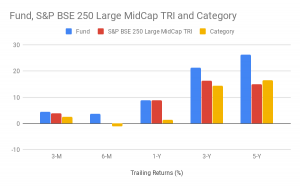 The trailing returns of the fund against its category and the S&P BSE 250 Large Midcap index has been provided in the chart below. The primary objective of the Mirae Asset Emerging Bluechip Fund is to generate income and long-term capital appreciation through systematic investments in Indian equity and equity related instruments of large-cap and mid-cap companies. The Fund Manager from time to time may seek to invest in other Indian equity and equity related instruments to achieve the optimal portfolio balance. The Mirae Asset Emerging Bluechip Fund invests in businesses that have sustainable competitive advantages, scalability, and strong earnings and growth visibility. From a management perspective, the fund seeks out companies that show good managerial efficiencies and prudent capital allocation. From a valuation perspective, the fund seeks out companies that have a good price-value gap i.e. companies that are currently undervalued but have the potential to grow in the future. The fund employs a bottom-top approach while selecting stocks, focusing more on the performance of individual stocks rather than the industry as a whole.